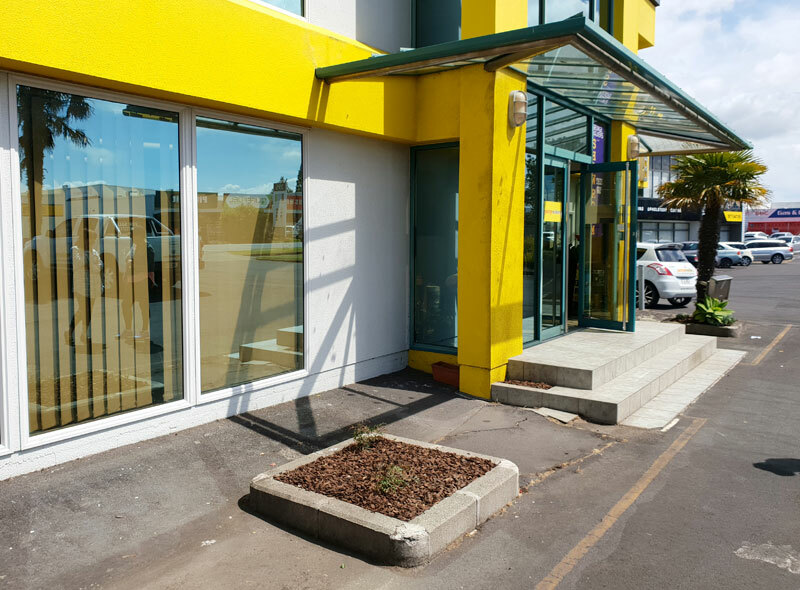 AFTER: A makeover has tidied up the building’s frontage. 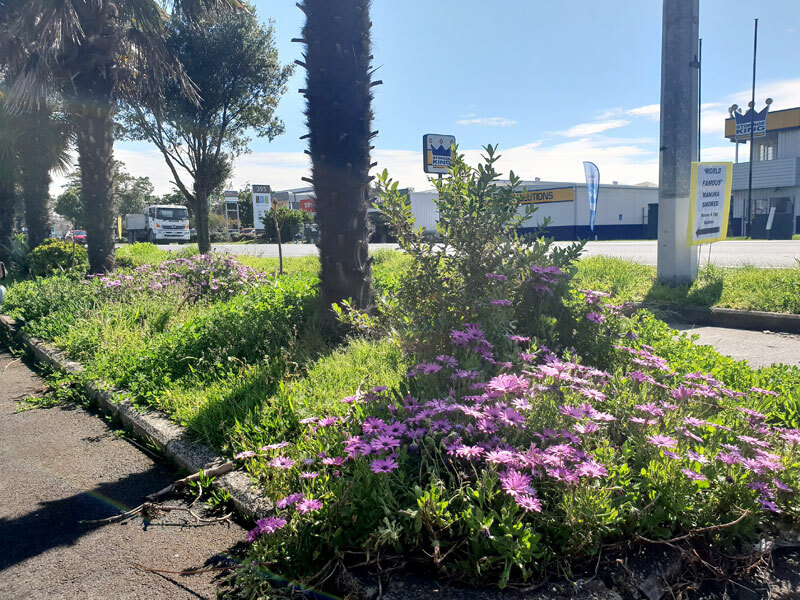 When it comes to street appeal, Michelle Maitland couldn’t be more delighted with the fresh new look that customers see when they visit her Auckland company. 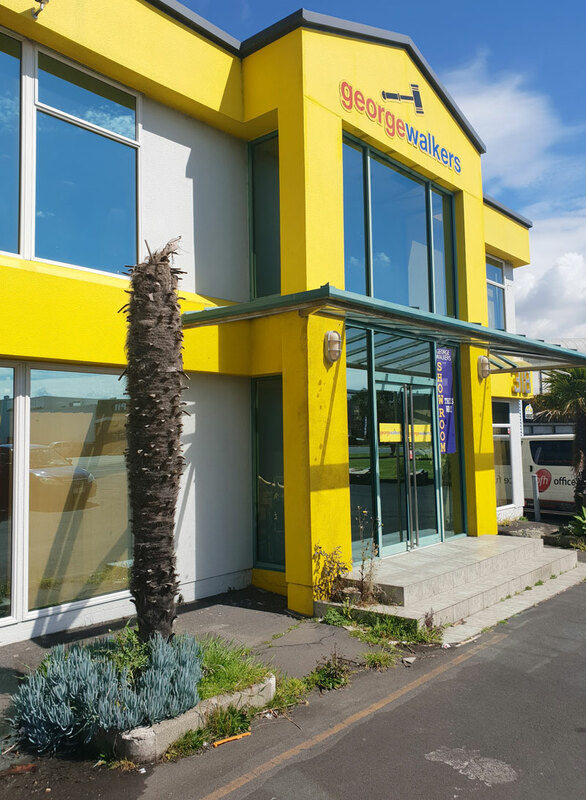 Michelle, who owns George Walkers Office Furniture Megastore, jumped at the chance to have a mini-makeover and tidy up outside the Avondale premises. weeding garden beds, trimming edges and laying new bark. And the end result exceeded Michelle’s expectations. “People have already started to comment on how good it looks,” she says. Michelle readily admits the small garden areas fronting the business had been in need of some tender loving care. BEFORE: Weeds at the entrance. “Normally we just got the verge mowed but it had become overgrown. Running a business means you often don’t get time to worry about such things. I guess it had just got a bit forgotten. “Having someone to do it has taken a big weight off my mind. Caroline and her team have made a huge difference. She has a good eye for detail and she’s brilliant at what she does. 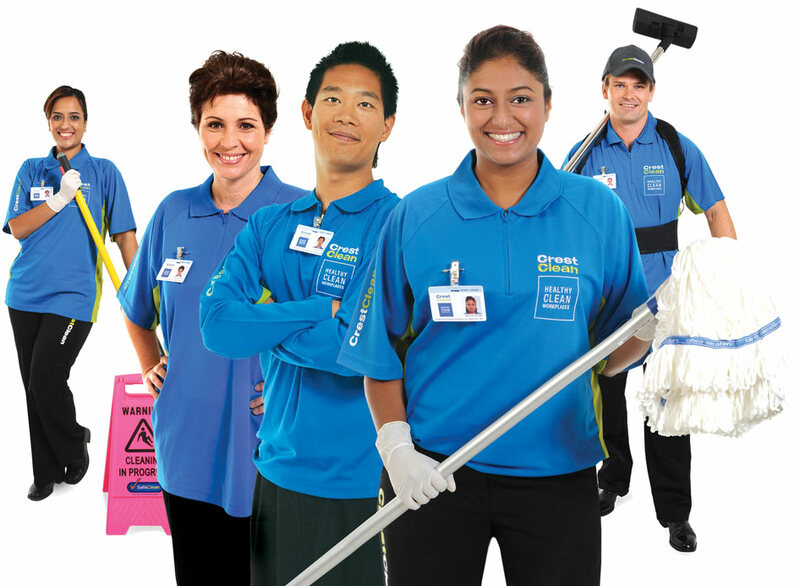 Caroline says more CrestClean customers are now taking advantage of bundling cleaning with property care services. “We are just delighted that Michelle is so pleased with what we’ve done. 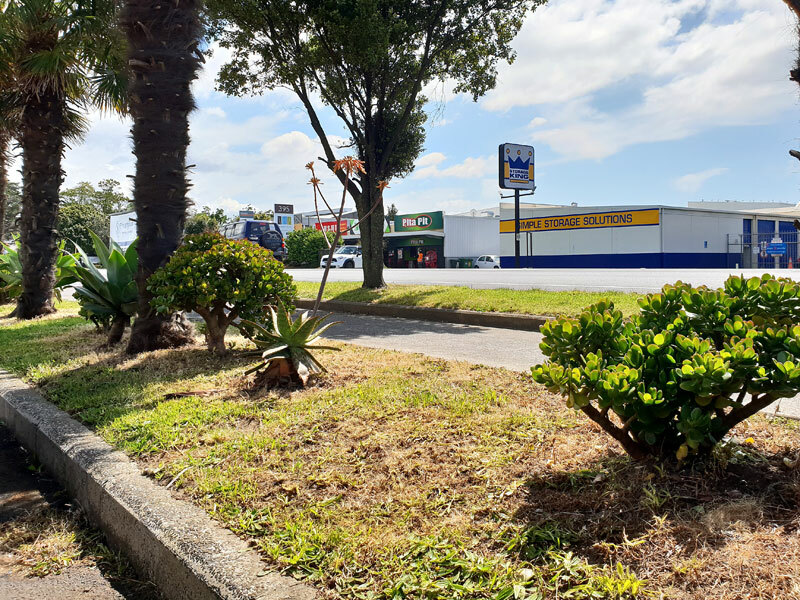 People often forget about the exterior of their business and that having a really nice street appeal goes a long way and creates a good impression of the company. BEFORE: The verge was overgrown. AFTER: A fresh look after a visit from the Crest PropertyCare team.